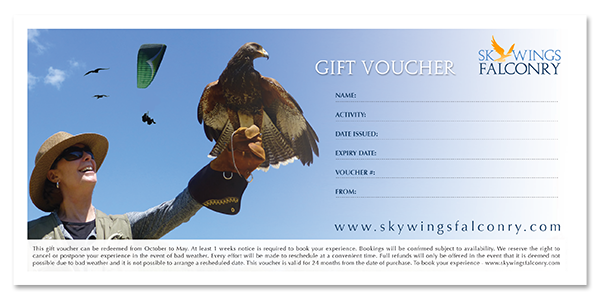 Give someone the gift of a Parahawking VIP Day. Treat family or friend to an incredible Parahawking VIP 1 Day Package. This is the ultimate 1 day raptor adventure for total bird lovers. It includes a 3 hour Bird of Prey Experience followed by a Parahawking Tandem Experience with one of our incredible Balck Vultures.